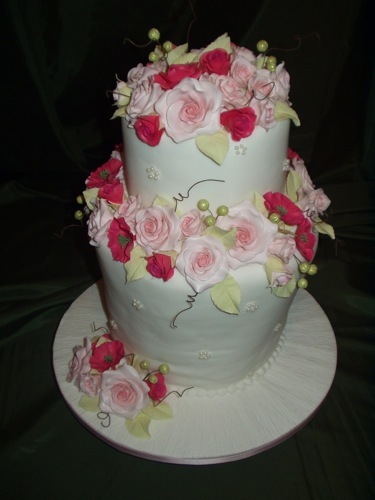 Did you know "All the flowers displayed on my cakes are hand made. You will want your wedding or special occasion to be one to remember. I can help towards that with a hand crafted wedding cake, individual cupcakes, or a very special celebration cake with that little extra something. 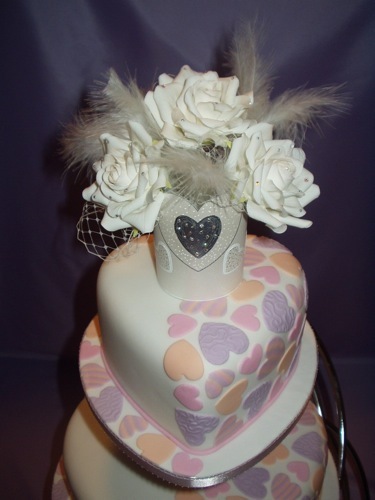 Your wedding or celebration cake should be the centrepiece of the wedding reception or a party and I can ensure this by offering a wide range of wedding and hand crafted cakes to suit your design requirements and budget. 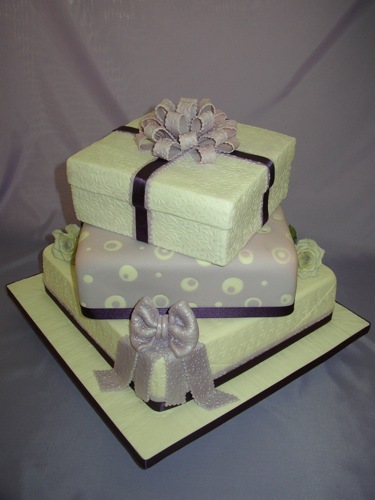 No two cakes are made the same; every commission is different thus making the cake exclusive and unique to the customer. 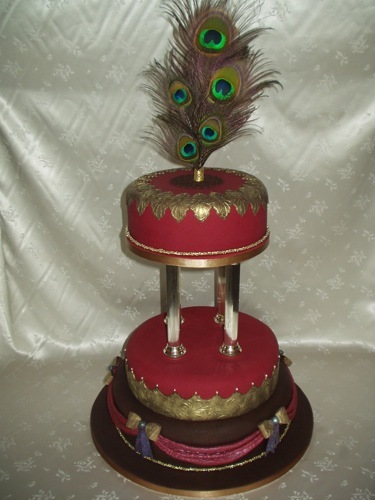 I offer traditional, stylish, classical, modern or exotic designs or you can even design your own cake. All the pictures shown on this website are my own work. Only the finest ingredients are used in my delicious cakes including free-range eggs. I do not use packet mixes or bought in cakes and only use porcelain products that comply with food contact legislation. I offer a rich fruit, Madeira, lemon, carrot or a chocolate cake made with real chocolate. I cannot guarantee that celebration cakes are free of nuts. 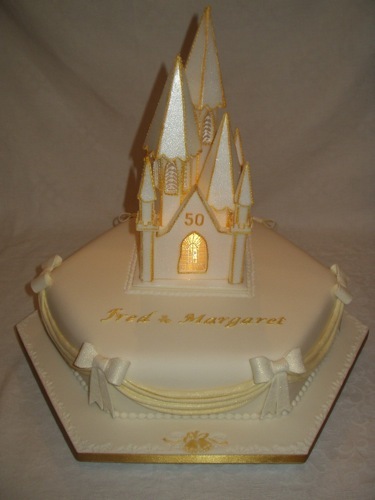 I am an experienced practitioner with qualifications in Sugarcraft, Art and Design. 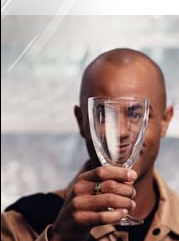 I am a member of the West Sussex County Council Buy With Confidence Scheme. These credentials underpin my work in designing individual cakes on a commission basis, which I have been undertaking since1990. I also regularly teach and demonstrate, so I will always have a broad range of materials available to help you decide upon a design. 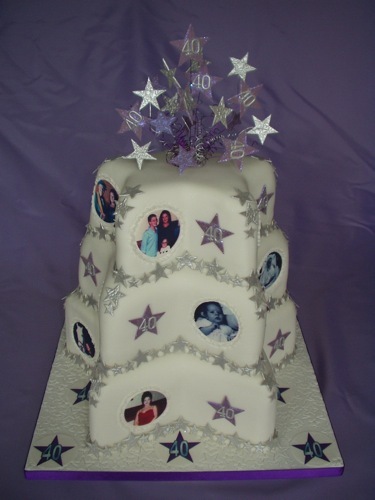 I am able to make cakes for weddings, anniversaries, birthdays, christenings, retirement, graduation, and corporate events as well as any other occasion you could require. I can create porcelain or sugarpaste models as decorations on a cake or produce a cake with an exclusive photo image. I can even fashion adult cakes provided they are inoffensive and tasteful. Many celebration cake specialists produce sugar flowers, which I can also offer, but the majority of my clients are nowadays choosing porcelain displays to ensure that the floral decoration remains durable for years to come. 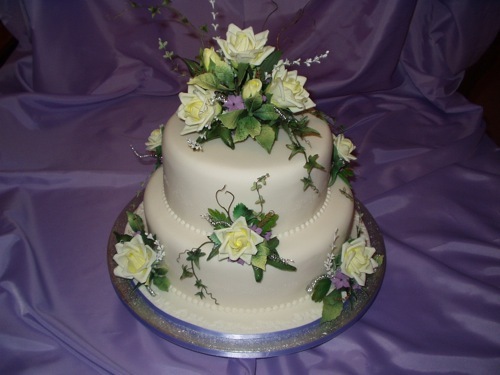 (Nearly all the flowers on the cakes featured in this website are hand made using porcelain). My speciality is the crafting of flowers in porcelain (fine china). This enables you to choose a floral decoration for your cake that will endure as a memento of your wedding day or special occasion. 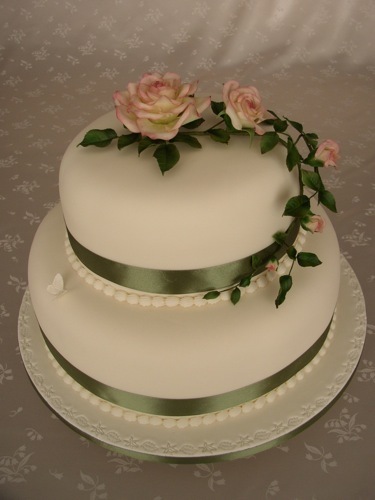 If you have a large wedding but do not wish to have too many tiers on display or have a budget to keep to, a cutting cake can be supplied directly to the kitchen. I have a selection of stands available to hire at a competitive cost and subject to payment of a fully refundable deposit. 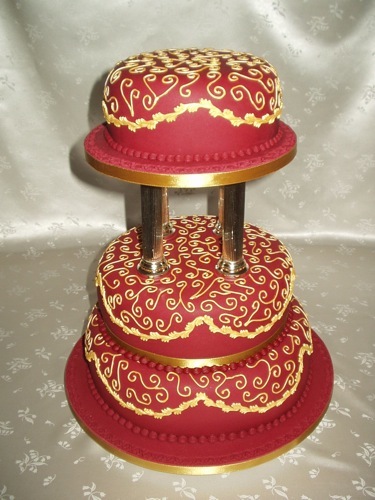 Does the cake require a stand? What colour icing is required?